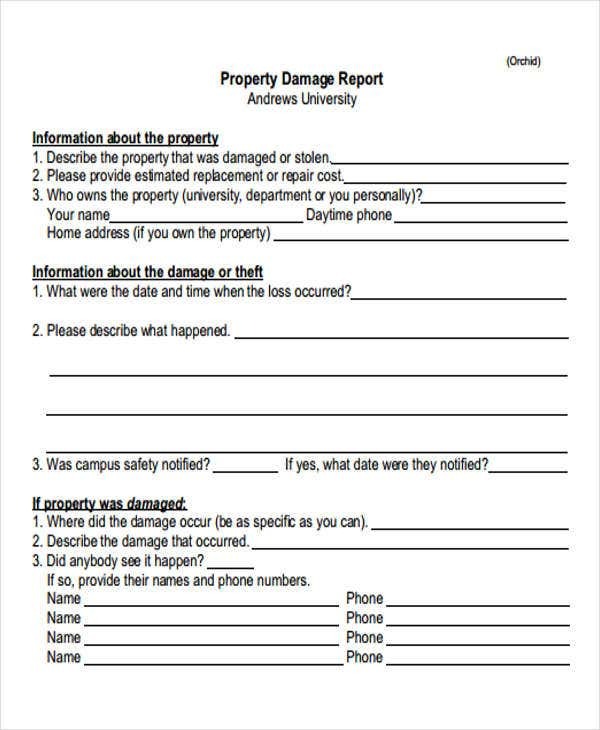 A damage report is used to provide information about the damage/s that has been done to a property or any other items that is owned by an individual or a group. 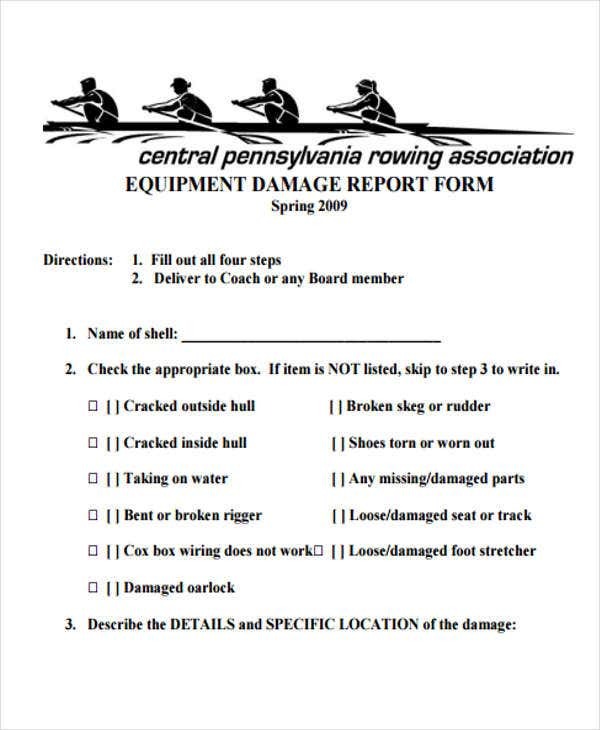 Damage reports list down the details of the incident report where the particular damage was made so that the incident occurrences can already be assessed for validity. 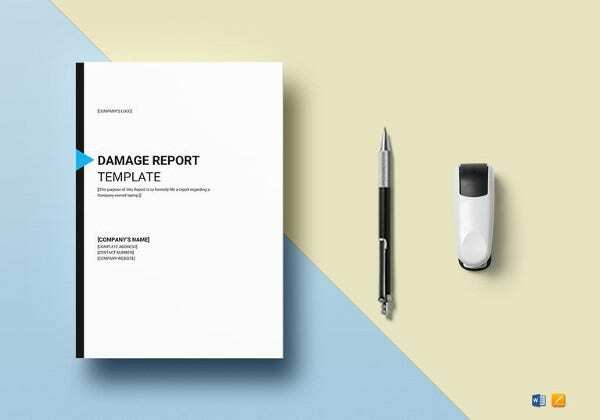 This post is a collection of different kinds of damage report templates, formatted both in word and PDF, which you may use as references in creating the specific damage report that is appropriate for your current situation. 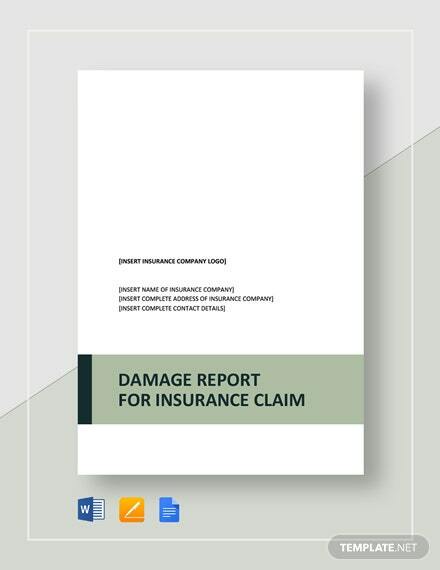 Aside from our samples of damage report templates, our samples of Report Templates are also available for download. 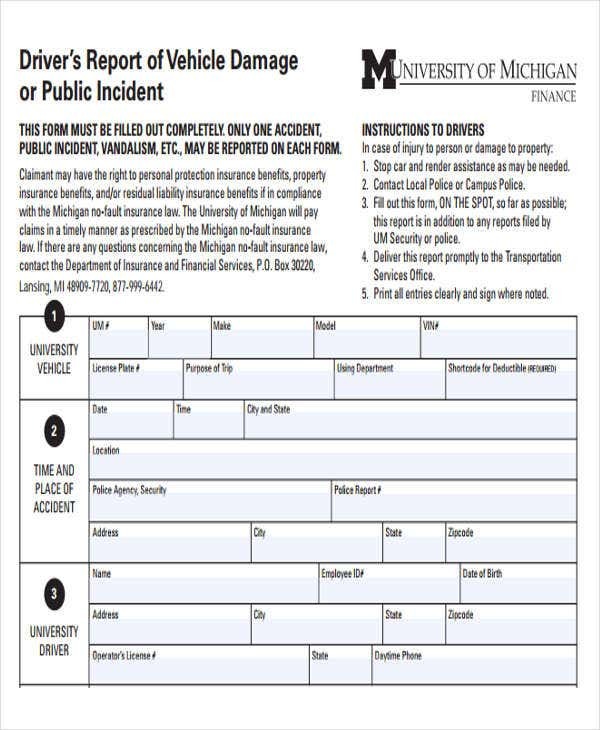 A property damage report is used to list down the properties that have been damaged or stolen. It includes the details of the property’s owner, cost, and description. 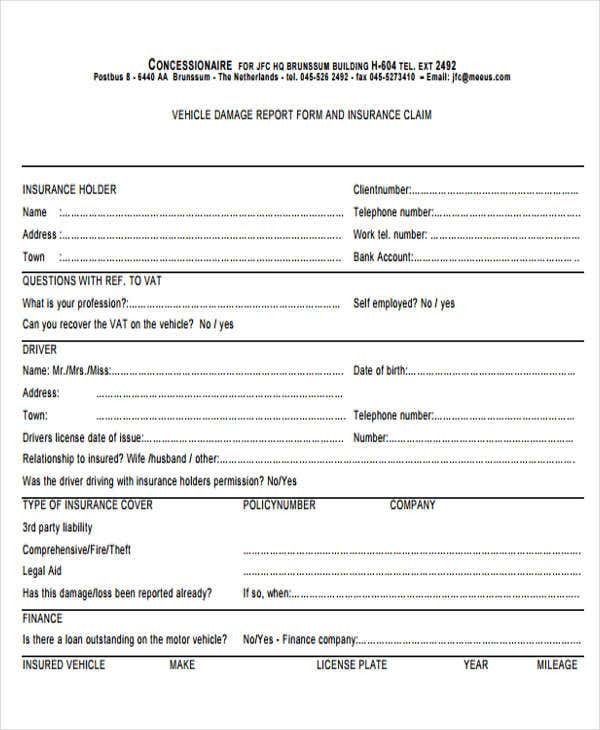 A vehicle damage report Sample is essential especially if the vehicle involved in the incident is under an insurance policy. 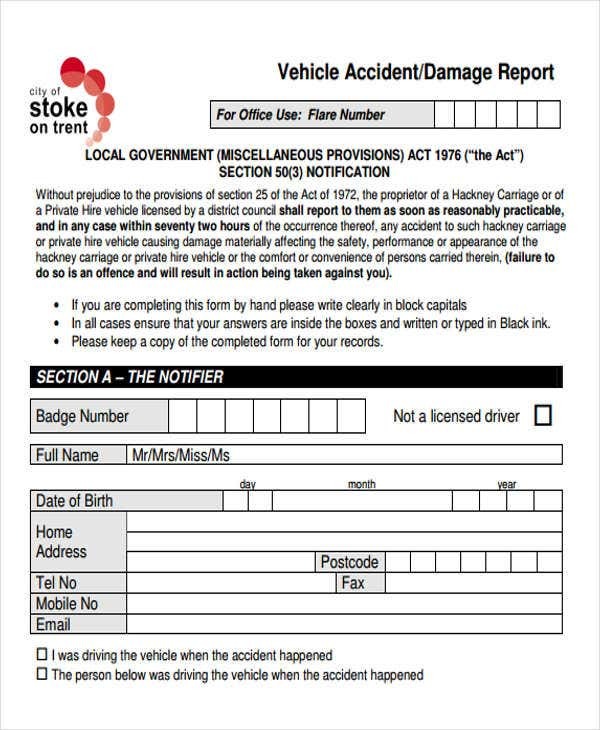 It is very important for a vehicle damage report to have the information of the exact date, time, and place of the incident. 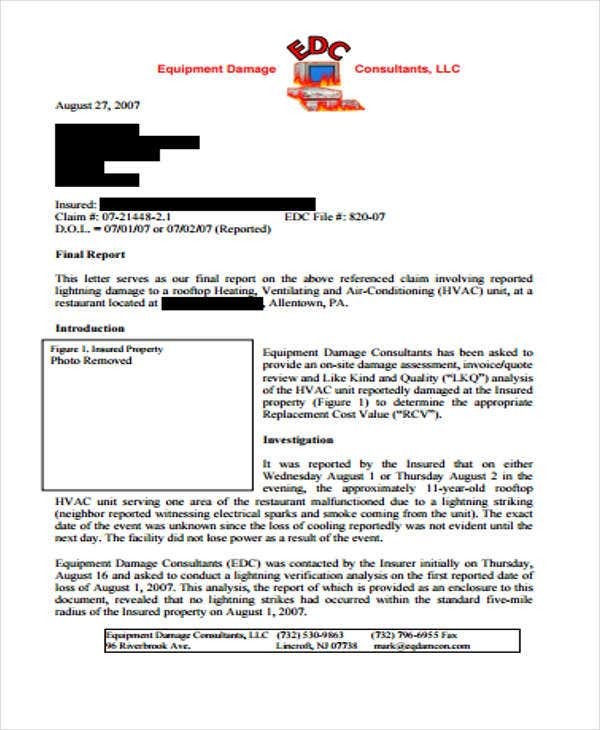 An equipment damage report is usually used by companies for the purpose of inventory. 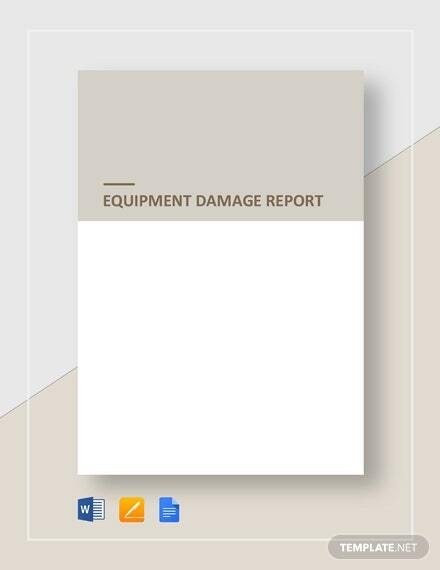 An equipment damage report can help the management to identify the reasons of the equipment damage, the kind of damage that has been done to the equipment, and the ways on how they can fix the damage in the most efficient way possible. 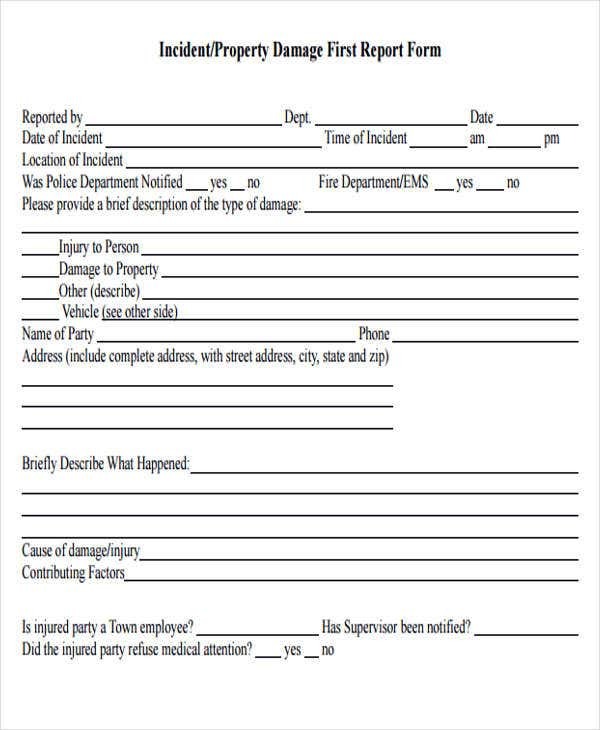 Other than our samples of damage report templates, our samples of Incident Report Templates and Expense Report Templates can also be downloadable on our website. 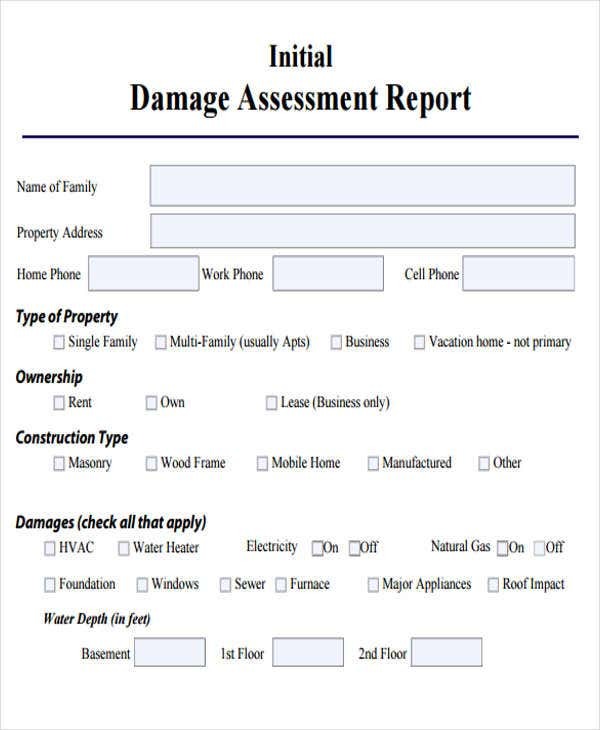 Assure that you will use a damage report template that is appropriate for the damage that has been done. 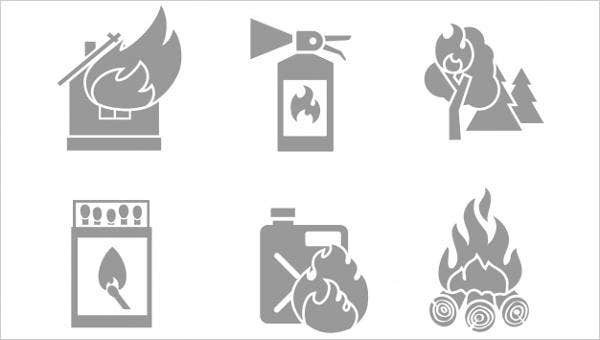 List down the items that are needed to be present in a damage report so it will be easier for you to relay information about the incident. 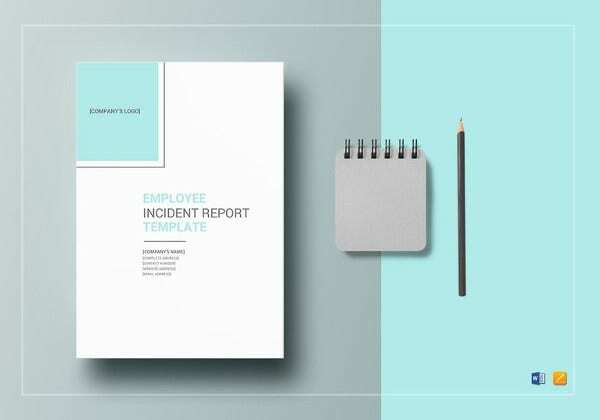 As much as possible, assure that the content of the damage report template in terms of the incident occurrences are organized in a chronological manner so it will be easier for the people to whom the damage report is for to grasp the idea of what had happened. 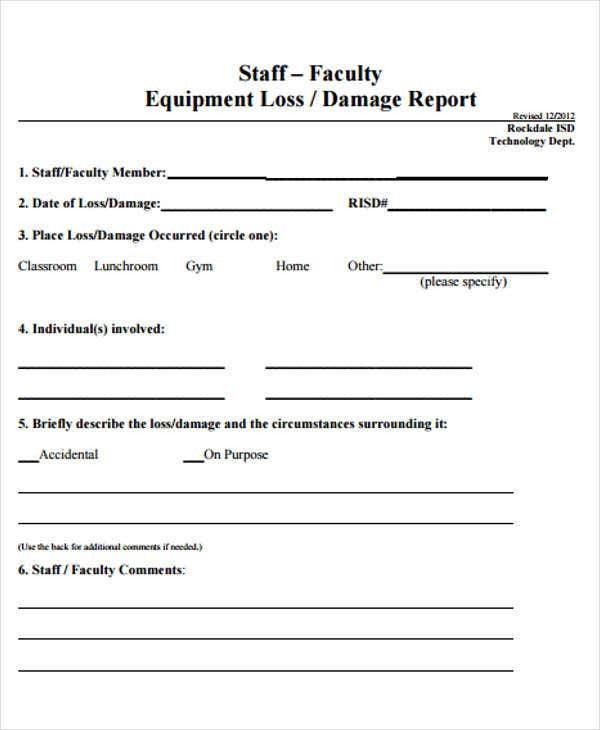 Make sure that all the things that you will put in the damage report template are accurate and based on reality. 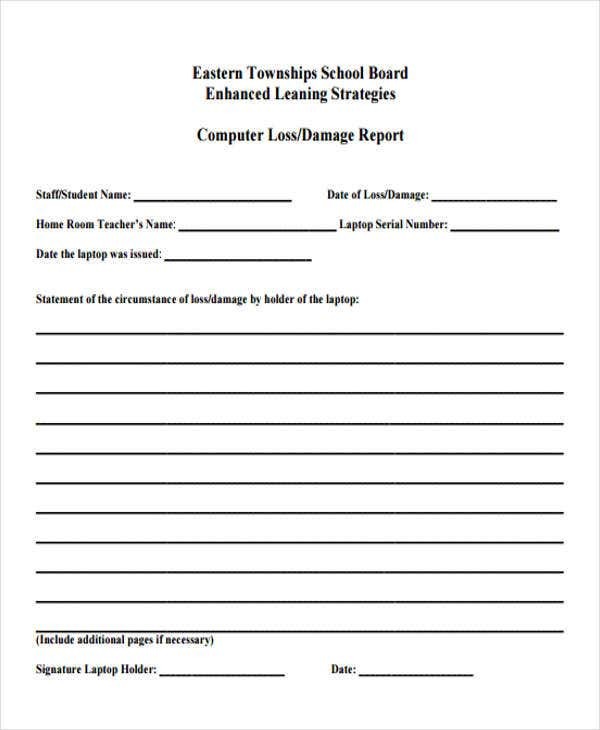 Since we already have different kinds of damage report templates, you don’t need to worry about the formatting of the document. 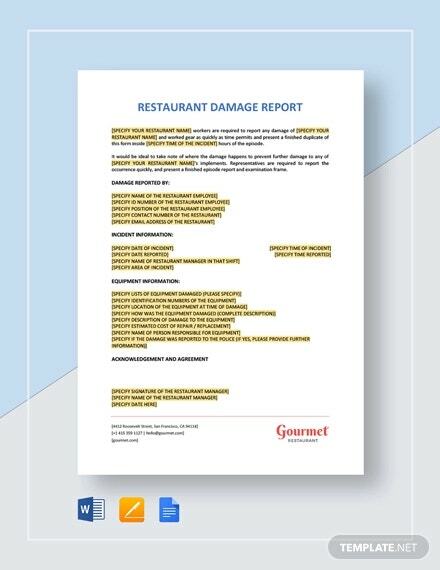 All you need to do is to provide the content of the report and assure that all the important items involved in the damage report are highlighted. 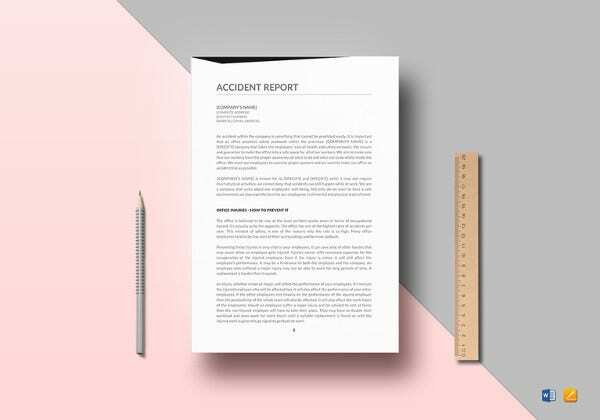 Other than our damage report templates, our samples of Investigation Report Templates are also available for download.